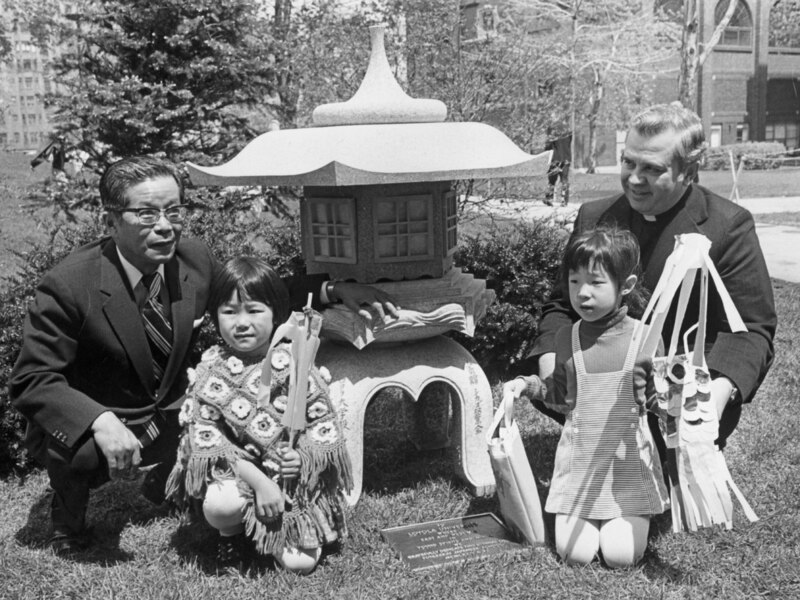 The Japanese Toro by Cudahy Science Hall was given to Loyola by the Japanese Consulate General in Chicago on behalf of Futabakai Japanese School, which used facilities at Lake Shore Campus from 1969 to 1974. It was dedicated on May 4, 1974. 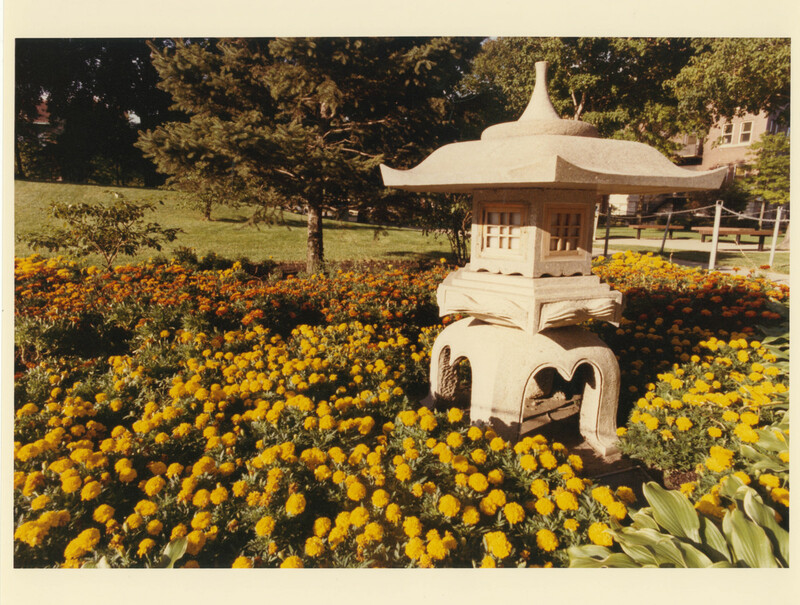 Another view of the toro surrounded by marigolds.